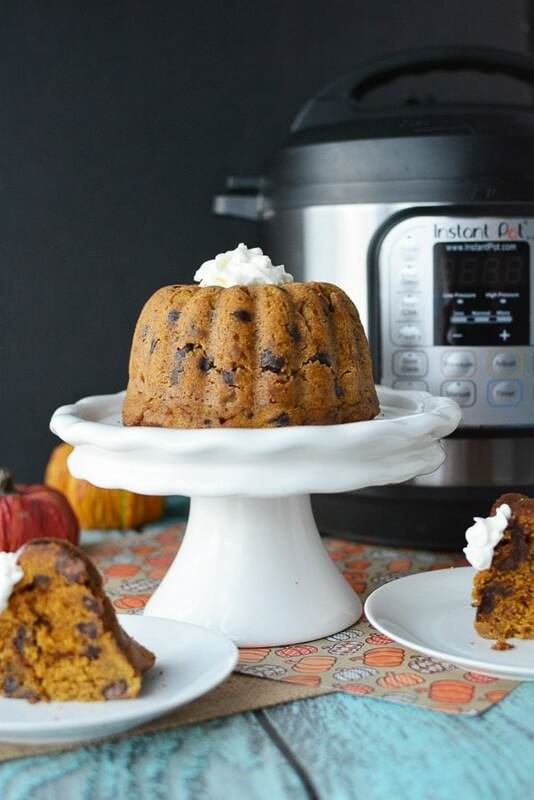 It’s pumpkin season and the delicious aroma in your kitchen when making this Instant Pot Pumpkin Chocolate Chip Cake will surely make you think of Fall. Have you ever wanted to make something delicious for your friends and family, but weren’t sure what? 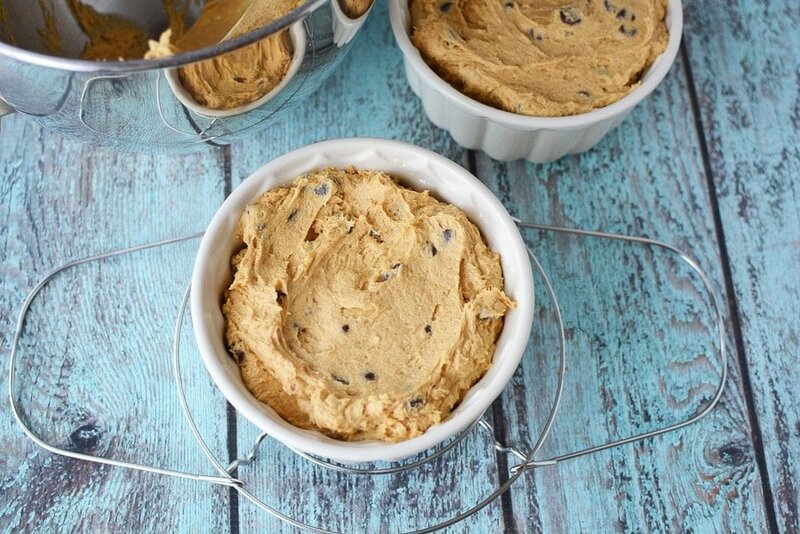 Instant Pot Pumpkin Chocolate Chip Cake is something worth making. It’s pumpkin season and the delicious aroma in your kitchen when making this recipe will surely make you think of Fall. Even better when you can make it using your instant pot. These are also super good, every time I make them, the pan is empty. If you’re trying to understand the deliciousness behind these, think of it as a cross between a cake and a dense bar. Everyone in my family loves them and I’m sure yours will too. The next time you get a hankering for pumpkin, go ahead and make these. This recipe would also pair nicely with a delicious pumpkin drink or latte. Go ahead and make this instant pot pumpkin chocolate chip cake and let me know what you think! 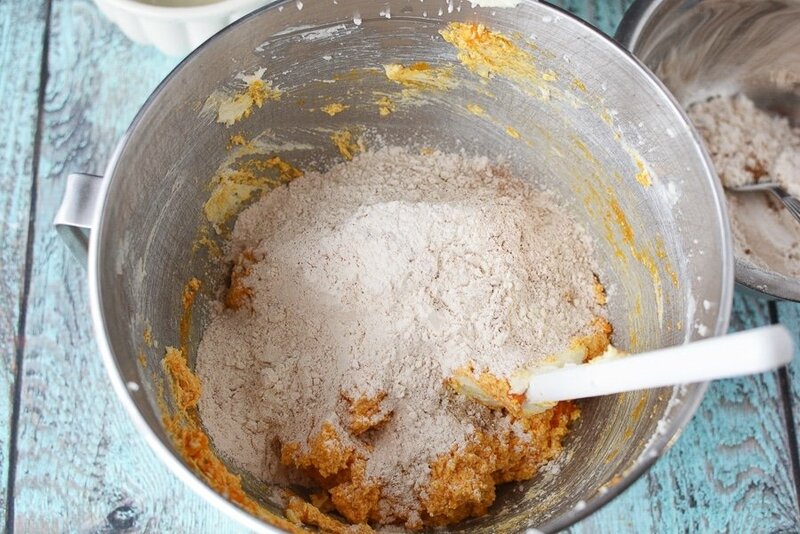 First, you will make your batter with just a few of these ingredients. 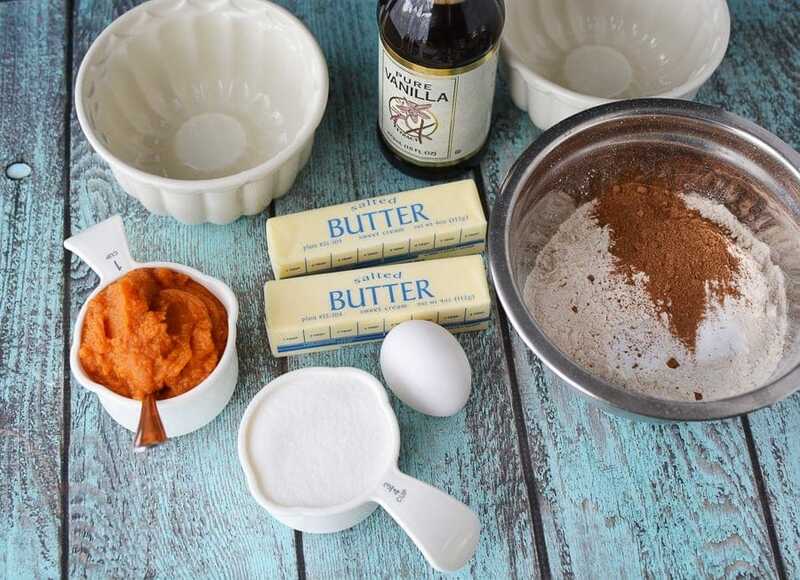 In a small mixing bowl, add flour, pumpkin pie spice and baking soda. Mix well. In a large mixing bowl, beat butter and sugar on medium high speed until light and fluffy (about 3-5 minutes) scraping down the bowl every minute or so. Beat in egg and vanilla, then pumpkin puree. Add half of the flour mixture and beat just until combined. Then add remaining and beat until combined. 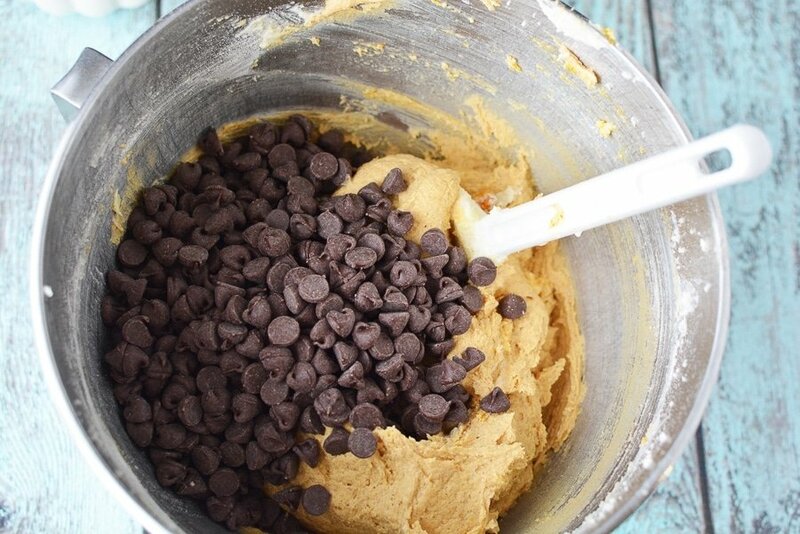 Finally, fold in chocolate chips. Next, you will want to grease two small bundt pans with nonstick cooking spray, then pour the batter into the pans. My small bundt pans holds about 2 cups, 16.5 ounces, 1/2 liter or 1/2 quart. Here is the pan I used. I actually grabbed it at Home Goods. Top with one piece of paper towel and one piece of foil. 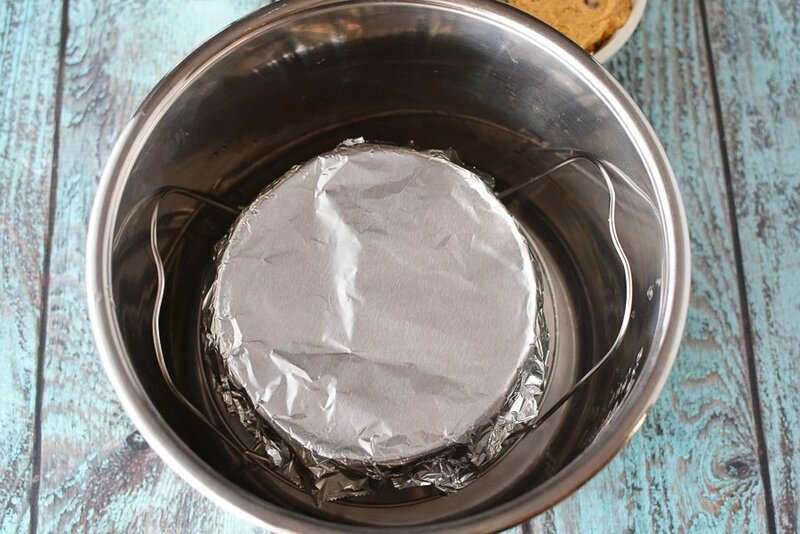 Loosely wrap the foil and paper towel around the pan. Set the pan onto the instant pot rack. Place 1.5 cups of water into the instant pot and place the rack, with the cake, into the pot. Finally, seal the lid and close the pressure release valve. Set the instant pot to manual, high pressure for 20 minutes. Let the instant pot naturally release pressure for an additional 10 minutes after cooking. Carefully remove the cake, discard the paper towel and foil and let set to cool completely before removing from the pan and serving. Add whipped topping for serving and enjoy! 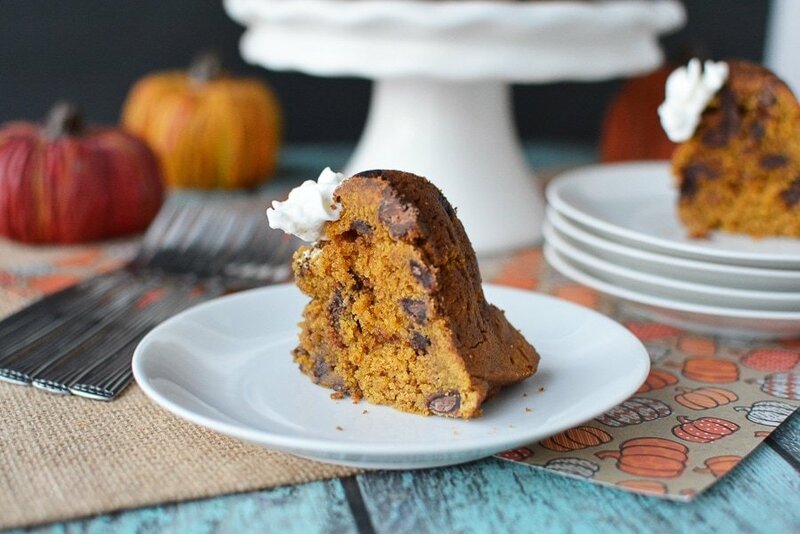 This Instant Pot Pumpkin Chocolate Chip Cake is something worth making. It’s pumpkin season and it only makes sense to make something this delicious this fall. In a large mixing bowl, beat butter and sugar on medium high speed until light and fluffy (about 3-5 minutes) scraping down the bowl every minute or so. Add half of the flour mixture and beat just until combined. Add remaining and beat until combined. Grease 2 small bundt pans with nonstick cooking spray. Pour the batter into the pans and top with 1 piece of paper towel and 1 piece of foil. 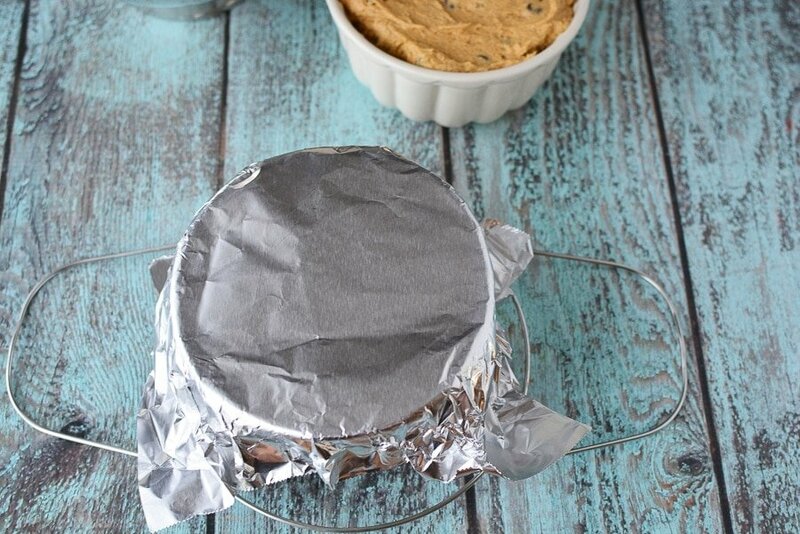 Loosely wrap the foil and paper towel around the pan. Set the pan onto the instant pot rack. Seal the lid and close the pressure release valve. Set the instant pot to manual, high pressure for 20 minutes. Let the instant pot naturally release pressure for an additional 10 minutes after cooking. Release the pressure and open the pot. 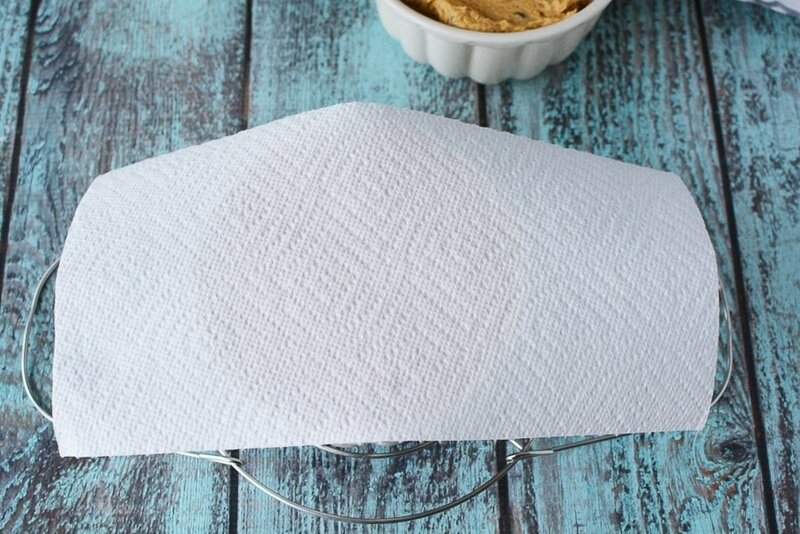 Carefully remove the cake, discard the paper towel and foil and let set to cool completely before removing from the pan and serving. These bars sound delicious, and the pumpkin makes them healthy too. I think they would travel well, they would probably be nice to send in packages to loved ones. This looks very easy to make and sound delicious. I’m adding this to my must try recipes file. Thanks for posting this lovely recipe. Yum!! These look absolutely delicious! Can’t wait to make these for Thanksgiving! These sound delicious. I will have to find a flour alternative and sugar alternative and then give this recipe a whirl. Okay. I am always looking for new things to put pumpkin in and these look amazing. Thank you for the idea. I am already writing the ingredients down for my shopping list! Do you cook each cake separately or stack them? You would cook each cake separately.